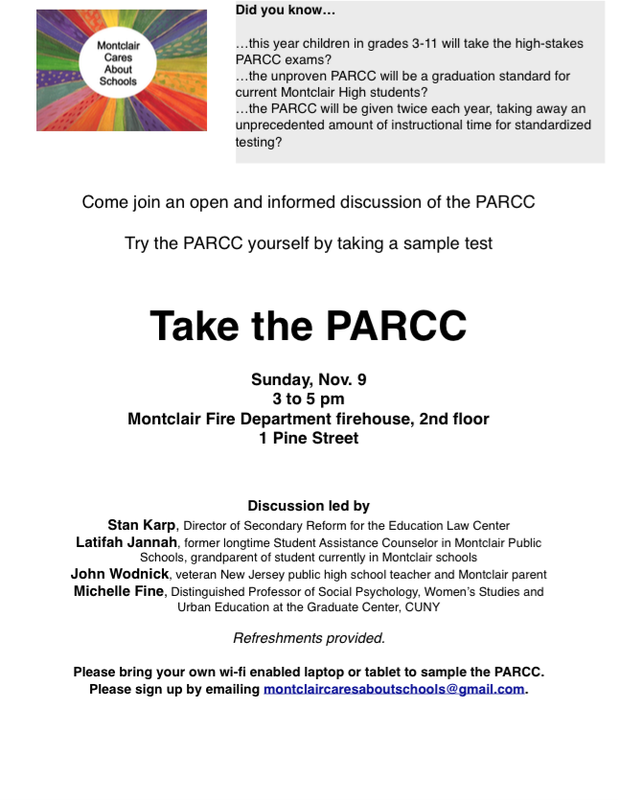 This entry was posted in Elementary School, High School, Middle School, Montclair, New Jersey, Take Action, Uncategorized and tagged #mcasparentvoices, education, Hespe statement, high stakes testing, montclair cares about schools, montclair public schools, montclair voices, new blog, PARCC, try the PARCC, walk in the parcc. Bookmark the permalink. I’ve already cleared it with our principal that the procedure will be the same as last year. It was very low key, nothing formal needed and the kids just went to another classroom during test time. However, now that someone from the district is saying nothing is in place yet, I’m going to request a confirmation in writing. I will be taking my test on Sunday! Great! Please keep us posted and let us know how that goes. Excellent about Sunday!